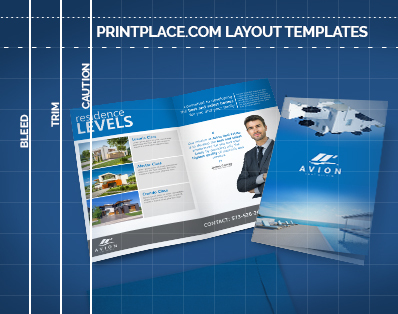 Whether you create a flat or folded flyer, we have a layout template to ensure your dimensions and orientation are correct on every panel. See our folding options and how each will affect the layout of your artwork. Then follow the instructions on your chosen template. Choose from Illustrator, Photoshop, and Publisher formats. 1. Pay attention to the safe area, cut and bleed area to make sure your flyer designs don't get cut out.